As an industry leader for over 130 years, there is a good reason MJS Packaging is the longest-running packaging distributor in North America. MJS Packaging sources and provides complete quality packaging solutions to manufacturers of many industries, including automotive, chemical, food & beverage, and more, to optimize cost-efficiencies, logistics, and speed to market. The original MJS Packaging website lacked a modern look and proved difficult to navigate. MJS Packaging challenged TM to produce a fully responsive and powerful website that would launch their company into the ecommerce world. They also wanted a website that visually presented them as the industry leader and cutting-edge company that they are. 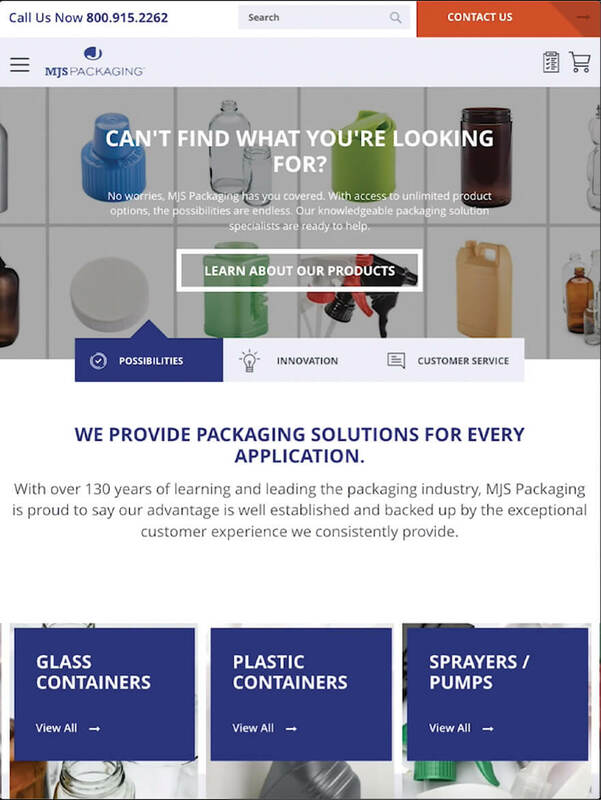 TM rebuilt MJS Packaging’s website on Magento 2. 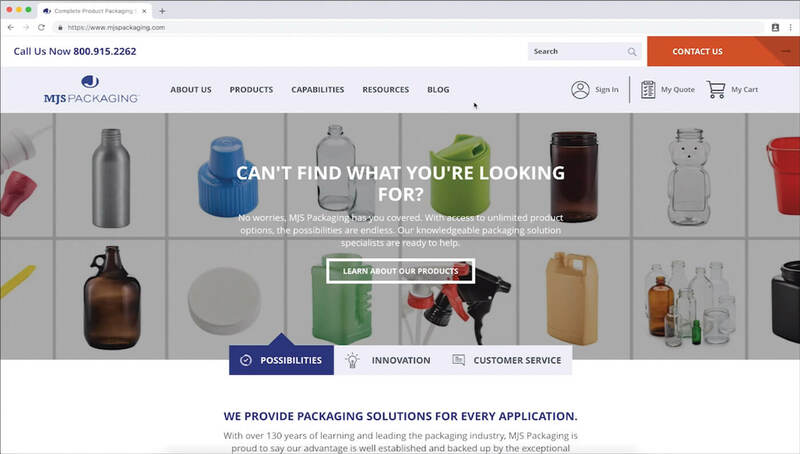 By creating a more modernized website with an engaging design, the new MJSPackaging.com will attract existing and new customers to fulfill their packaging needs online. The website is also mobile and search engine friendly to make sure customers can easily find products and navigate the website. With an updated site structure and layout of nearly 60 pages, a wealth of information and knowledge will guide potential buyers down the right path to what they need and what MJS can do for them. With some extra focus on user experience, the customer will never be left empty-handed, and will always be given a path to get in touch with MJS should questions arise. 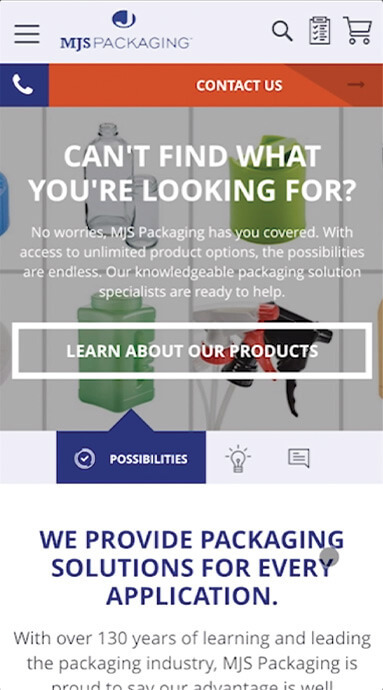 MJS Packaging needed a refresh of their existing request a quote function where customers could request a quote if they weren’t ready to purchase yet. TM constructed a modernized Request a Quote module, which improves their previous quote functionality. The customer can construct a quote from multiple products before submitting for review. Requests live in the administrative panel where MJS manages them. With better organization and sorting, the blog is now easy to read and follow through. Customers can navigate through each blog post without a hassle. In addition, the layout has been given a refreshed appearance to allow visuals to be more prominent and reinforce each article. MJS’ web presence needed a visual boost, and that’s exactly what we gave it. Large photos, balanced usage of white space, and easy-to-read typography headlined the overall product, allowing for the website (and therefore the company) to feel like it was at the top of its game.